The Winter Raffle helps our club raise money for groomer and trail maintenance. 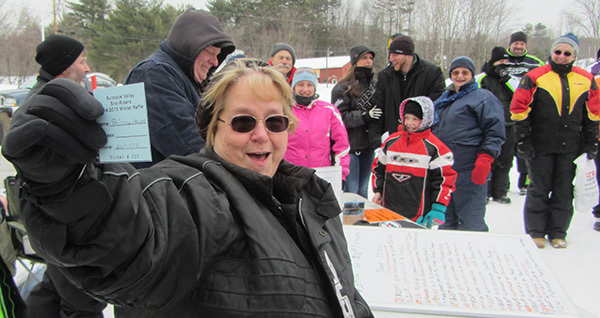 Club members start to sell Winter Raffle tickets in the fall and through the snowmobile season. Nearing the end of the season we hold our annual Poker Run which is where we pull the winning raffle tickets. Only 200 tickets will be sold, 13 chances to win! 1st Prize: $500, 2nd Prize: $300, 3rd Prize: $200, then we will be pulling TEN $100 winners! Contact the club if you wish to buy a raffle ticket. Or buy online! All ticket sales will be entered into the 2018 raffle drawing! The Winter Raffle was started in the fall of 2014.